Yes, there is such a reality as a place named Penzance. It lies on the rocky coastline of Mount’s Bay overlooking the beautiful St. Michael’s Mount. A charming seaside town, here you can stroll along the magnificent promenade and enjoy art galleries, stylish restaurants, local merchants’ shops, cafés and pubs. 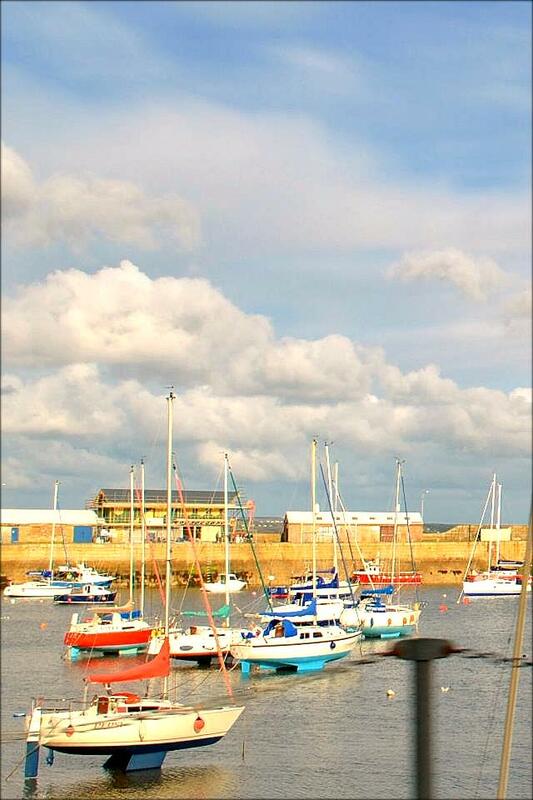 Whether traveling by road or rail, Penzance is an ideal place to explore the beautiful area of West Cornwall. The railway, which reaches to North Scotland and West Wales, terminates at Penzance. 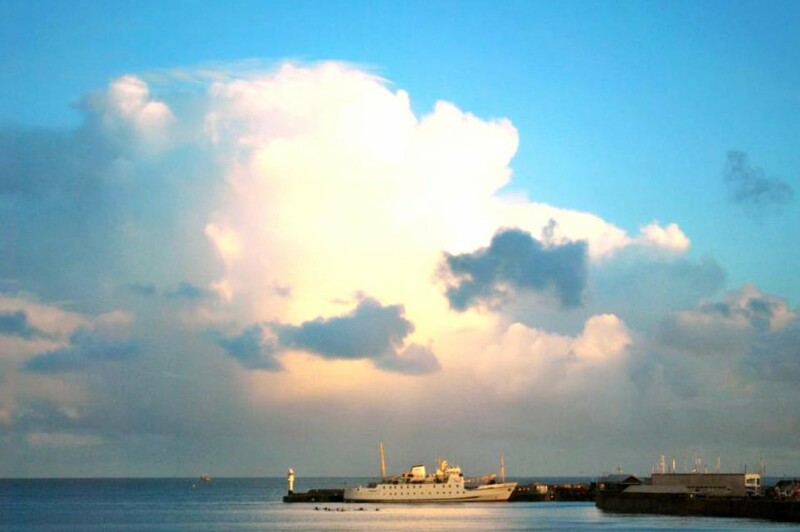 Penzance is also the gateway to the Isles of Scilly. Here you can enjoy many walking and cycling routes along moorland trails and coastal footpaths where bird-watching is a favorite past-time. The area’s surfing venues are some of the best in Europe or if it’s a leisurely swim you prefer, make sure you visit Penzance’s fabulous art-deco Jubilee swimming pool. Exploding with art and culture, Penzance is home to three world class galleries, The Exchange, Penlee House Gallery and Museum and nearby Newlyn Art Gallery. Penzance, an ancient seaside market town and popular tourist destination which lies on the southwestern corner of England, stole a little piece of my heart. From Act 1 of the Pirates of Penzance, by Sirs William Gilbert and Arthur Sullivan. The Capital of Cornwall, named “Pen Sans” in ancient Cornish language, means “Holy Headland” and refers to the sunniest western side of the harbour featuring a friendly and clean seaside promenade. Here you’ll find historic houses among Georgian and Regency terraces, along with museums, galleries, and pubs, perhaps even a pirate or two. While in Penzance, a visit to St. Michael’s Mount is a must for it is truly the crown jewel of Cornwall with its stunning panoramic view of Mount’s Bay. With its picturesque harbour and spectacular, fortressed castle dating back to the 14th Century, the magestic, terraced gardens are the perfect place for a family day out. You can access the rocky pathway to the Mount on foot across the causeway at low tide, or by short ferry crossing at high tide when the Mount becomes an island surrounded by water. As you walk up the main pathway from the harbour to the Castle, you’ll pass the heavily shuttered well where children will listen intently to tales of the Cornish Legend of “Jack the Giant Killer” and how the Mount was built by the giant, ‘Cormoran’. Legend says the giant, Cormoran, would wade ashore from the island to capture sheep and cows as they grazed in the local fields. One night, a local boy named Jack rowed out to the island during high tide while the giant slept. Jack worked all through the night digging a deep pit leading half way up the Mount’s northern side. By morning when the pit was complete, Jack stood off to one side and blew his horn so loud he would wake the mighty giant. As the giant ran down the hillside, the glare of the early morning sun blinded his eyes, causing him to fall head first into the pit. The locals were so grateful that they gave Jack the title ‘Jack the Giant Killer’ and made up a little local rhyme. Here’s the valiant Cornishman Who slew the Giant Cormoran. While in Cornwall, another must see is the incredibly eco-friendly and charitable Eden Project in St. Austell. This place is truly amazing with its massive biomes. The Eden Project works on projects worldwide about environmental, social, and economic regeneration and sustainability. But more than that, this place is really fun, the food is great, and it’s totally awe-inspiring and you will not be disappointed. Plan to spend the day (or two) by visiting all of the different biomes. Of course, any trip to Cornwall wouldn’t be complete if you don’t stop to eat a hot Cornish Pasty at lunchtime, in the traditional manner of course (from end to end while held in the hands). A Cornish Pasty is a delicious pastry filled with meats and vegetables that are cooked together and the pastry is crimped around the edges. 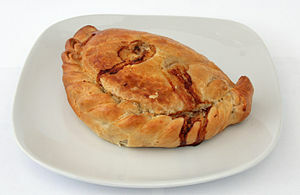 The pasty is the national dish of Cornwall and is highly regarded. If you’re a foodie, don’t leave Cornwall without giving this a try! Have you been to Cornwall? I’d love to hear comments about your visit. Thank you for reading and sharing my post. I fell in love with Cornwall in March 2012 when I came for a holiday visit with friends. We stayed in a B&B in Mousehole and we were overjoyed with our time here. It is such a unique area and we still talk about what a wonderful time we had. I would love to visit again! Thank you for sharing my blog, so lovely to read about your visit to Cornwall, there is something about Cornwall that is unique…! 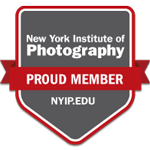 I will be pressing and sharing your write up on your visit.